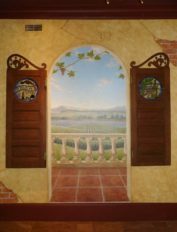 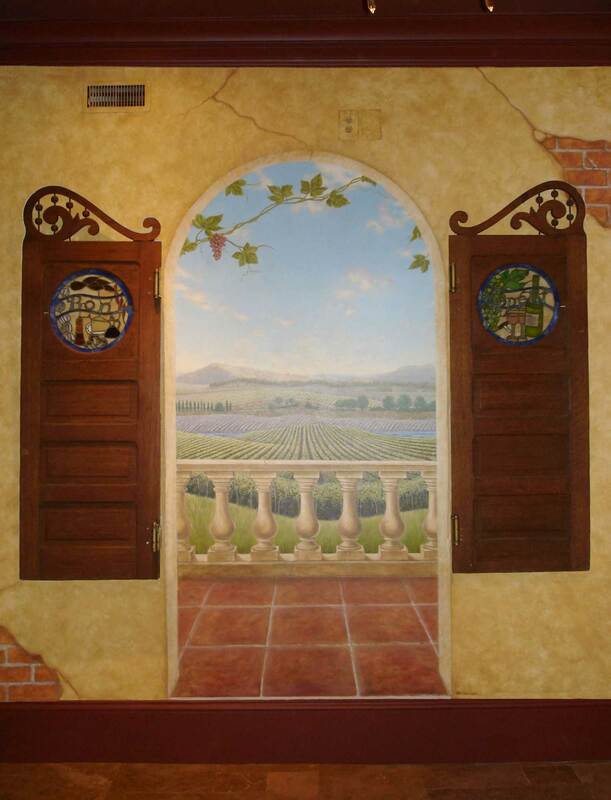 In the foyer area of this French inspired wine cellar, the client’s 3-D saloon doors are incorporated into the trompe l’oeil balcony, which is painted to appear to overlook the Château vineyard. 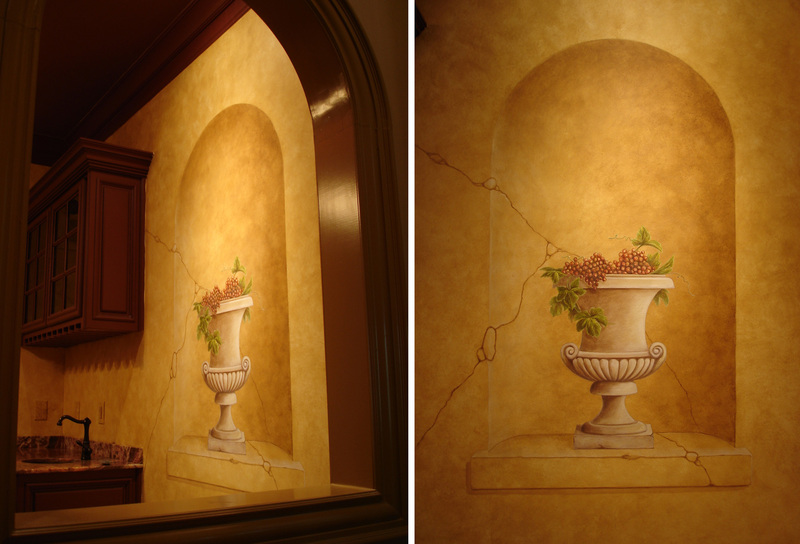 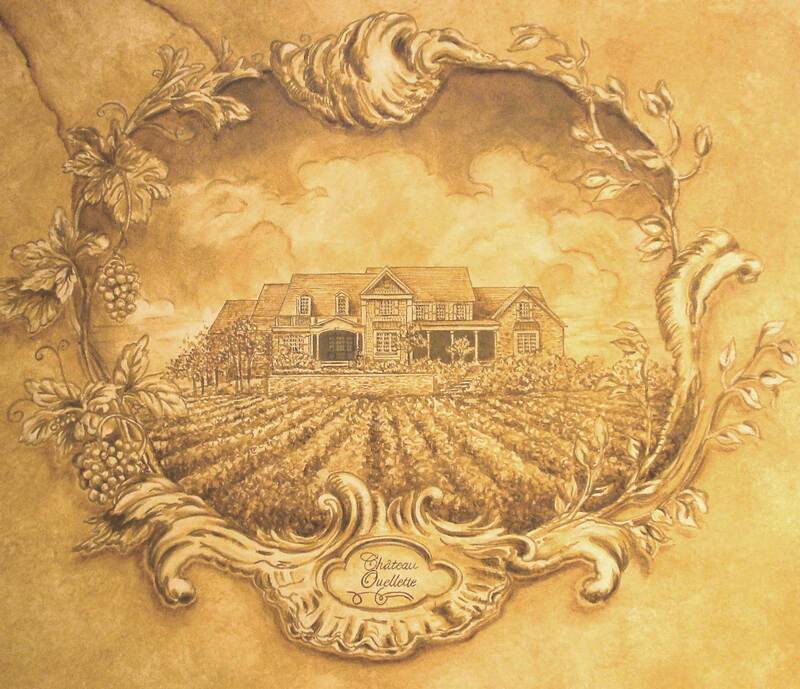 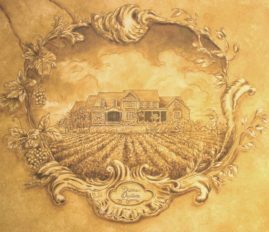 The foyer also includes a faux plaster cartouche (inspired by Graham Rust), “sculpted” to represent the family wine label and featuring the client’s home, as well as a faux niche and urn with grapes (inspired by Christoper Westall). 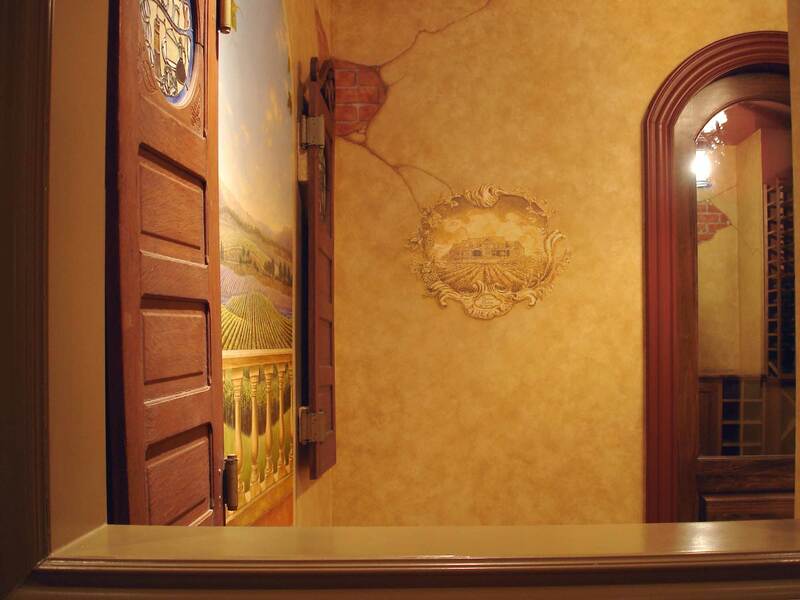 Inside the cellar a 3-D beer barrel appears to project out of the stone surround painted on the faux plaster wall.